Dilaudid is a brand name formulation of hydromorphone—a potent synthetic opioid painkiller. By interacting with opioid receptors throughout the body and the subsequent involvement of the brain’s dopaminergic reward system, Dilaudid is capable of producing an intense sense of euphoria, especially when the drug is abused. Once that pleasurable feeling subsides, people will often go to great lengths to experience it again. This cycle may repeat, paving the way for addiction. When used as prescribed, Dilaudid can be very beneficial to people who struggle with significant pain. However, individuals who abuse Dilaudid place themselves in danger of potentially lethal drug effects and are at high risk of developing addiction. Addiction is a chronic, often-relapsing condition characterized by compulsive drug-seeking and use despite harmful consequences. Over time, addiction can effect changes to the brain’s structure and workings. These brain changes can be long-lasting and may serve as the biological reinforcement of many harmful, often self-destructive, behaviors. The widespread and growing numbers of people across the country who are addicted to opioids such as Dilaudid are at epidemic levels. In fact, according to the US Centers for Disease Control, 78 people die each day in the U.S. in connection with opioid use. Like other Schedule II opioids, Dilaudid has a high potential for abuse, and treatment often requires professional help. $120 billion in lost productivity, mainly due to labor participation costs, participation in drug abuse treatment, incarceration, and premature death. $11 billion in healthcare costs—for drug treatment and drug‐related medical consequences. $61 billion in criminal justice costs, primarily due to criminal investigation, prosecution and incarceration, and victim costs. The destruction and heartache of addiction can be turned around and overcome. Recovery is possible, and there are a number of Dilaudid treatment programs available that can help. Current research-based best practices prescribe a comprehensive and varied approach to the treatment of addictive disorders, including a focus on biological, psychological, social, and theoretical aspects. This somewhat multi-disciplinary treatment strategy includes the use of supportive counseling, motivation to encourage readiness to change, and the teaching of coping skills—all essential aspects to recovery. Consulting with a professional will help to determine which type of program is best suited for a person’s individual needs. If you receive treatment in an inpatient or residential facility, you’ll live on the premises throughout the treatment duration. Many treatment programs begin with a detoxification (detox) process, wherein all traces of Dilaudid are allowed to clear from your system while withdrawal symptoms are managed. After successful completion of detox, you’ll continue with the rehabilitation (rehab) process with trained therapists and medical staff whose goal is to help you learn how to deal with the emotional and psychological triggers that led to addiction—without using Dilaudid. There are a number of differences between inpatient/residential and outpatient substance abuse treatment, and the choice of program type will be dependent on the severity of addiction and other individual needs. One of the pros of inpatient facilities is that they allow you to step away from the stresses and potential triggers of a home environment while you focus on detox and healing. 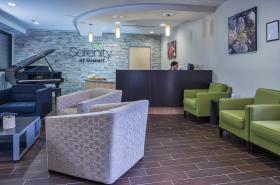 Outpatient treatment programs provide many of the same treatment techniques, but allow those enrolled in the program to return home during non-treatment hours. Outpatient programs may further enable people to fulfill obligations at work, school, or at home, but are generally sought by those with less severe or long-standing addiction issues. Before selecting a rehab type, discuss the choice between inpatient and outpatient Dilaudid rehab programs with an addiction treatment professional who is able to make a qualified treatment recommendation. Consistent opioid drug use will inevitably lead to a growing tolerance. People who’ve developed a Dilaudid tolerance need increased amounts of the drug to obtain the same effects that they experienced at earlier, lower doses. As tolerance builds and drug use ramps up, many who abuse Dilaudid will additionally develop a marked physiological dependence. People who are dependent on the drug will often suffer withdrawal symptoms when the drug is not used for a certain time or when attempts to quit the drug are made. While a certain amount of tolerance and dependence will develop even in those who take opioid drugs such as Dilaudid as prescribed, those most at risk for experiencing these effects are those who misuse or abuse the medication for the purposes of getting high. You can develop Dilaudid dependence or tolerance without becoming addicted. But if you suspect that something more serious is developing, speak to your doctor or call to talk to one of our rehab placement specialists today at 1-888-341-7785. The decision to seek treatment help is a very personal choice. People often suffer from addiction in isolation, and the last thing they want is for their friends, family, and employers to know that they’re going for treatment. Rest assured that professional Dilaudid treatment centers are required by law to safeguard your privacy. From the moment you pick up the phone to call for help, your information will be kept strictly confidential. Many programs offer private rooms, while others encourage an approach with more focus on group support. Check with the facilities that you’re interested in to see what they offer. People who decide to get help with a drug addiction problem usually have the option to receive treatment from an inpatient facility or an outpatient one. Whether a residential or formal outpatient substance abuse recovery program is chosen, the treatment duration often lasts 30, 45, or 90 days (or longer, if needed). Many addiction rehab programs offer flexible treatment lengths, depending on the needs and progress of the recovering individual. According to the Substance Abuse and Mental Health Administration, short-term residential treatment is much more common and typically focuses on helping clients detox, providing initial intensive treatment, and preparing clients to return to life after rehab well-prepared to manage relapse triggers in order to stay sober and healthy. A stay at an inpatient Dilaudid treatment center begins with the intake process. Prior to admission, physical examinations, complete medical and psychiatric histories, and toxicology screening will be conducted. At this stage of the process, program details and other issues to expect during treatment will be outlined. At the start of the program, you’ll enter your medically supervised detox period. Patients are often given certain medications that are approved by the U.S. Food & Drug Administration for treatment of opioid dependence—including buprenorphine, naltrexone, and Suboxone. A medication-assisted treatment approach to managing Dilaudid dependence can help minimize unpleasant withdrawal effects, but is only the first step to long-term recovery. According to the National Institute on Drug Abuse, detox alone is not enough to beat addiction. Once detox is completed, you’re ready to begin treatment. You’ll learn what made you turn to Dilaudid in the first place and how to avoid making those same choices in the future. 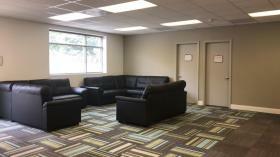 You’ll participate in both individual and group counseling sessions. Both types of sessions will be led by an addiction therapist. Through group therapy, you can learn how different people are getting through the recovery process. You’ll also learn coping mechanisms that you can use later in your daily life. After rehab, you may be apprehensive about getting back into your everyday life. The best Dilaudid rehab programs make sure you have access to an extensive aftercare network through diligent aftercare planning prior to completion of treatment. Personal financing, perhaps the easiest way to pay for treatment if you have the resources. Funding through friends or family members, who have also been affected by your use, and may be greatly relieved to provide financial support for your treatment. Personal loans, which may be the best alternative if obtaining financial help from family or friends isn’t available. Private insurance or Medicaid, which the treatment facilities you’re considering might accept. Financing through the treatment center itself, as many offer their own treatment financing to prospective patients. If business obligations have kept you or a loved one from looking for help for an addiction, executive rehab facilities can be an invaluable treatment option. Coupling high-quality substance abuse treatment with the flexibility of occasional computer and phone access allows an executive to get clean and sober away from the spotlight. Many luxury treatment centers grant the top-tier amenities you’d only expect in America’s finest hotels, with your success and well-being as the biggest priorities. From gym facilities and in-house massage therapy to 5-star chef-prepared meals and fine linens, you can get the top substance abuse treatment for yourself or your loved one while enjoying rehab. For help searching for excellent luxury treatment programs for Dilaudid addiction, call our toll-free hotline at 1-888-341-7785 to speak to a rehab placement specialist anytime. Treatment lays the foundation for recovery and long-term sobriety, while aftercare helps to maintain the progress made throughout recovery. Dilaudid addiction is a chronic disease that needs ongoing support. A comprehensive, individualized aftercare plan is vital to sobriety and progressive recovery after completing a program. A recovering person may also reside at a sober-living facility for a while with other individuals recovering from addiction. While there, recovering individuals perform chores, work at an outside job, and participate in group therapy sessions. This offers a supportive, transitional time before returning back to "normal" life. Many patients maintain regular therapy sessions post-rehab, and some submit to scheduled drug testing as a way to keep them accountable to their sobriety. Group therapy is an effective method for building a support system in your local area. Some individuals find the type of support they can get in very specific 12-step groups is more beneficial, while others gain the help they need from more general support groups. In aftercare support groups, it's often said that participants get what they give, so they are encouraged to interact with other group members and share their experiences with the group. Once those recovering are more established in their sobriety, they may choose to mentor those who are newly recovering. For many individuals, addiction recovery is a lifelong process, requiring constant work and attention. At times, the path to lifelong recovery may feel easy. Other times, it will be difficult to withstand the temptation to relapse, so ongoing support is essential. Intervention. Addiction changes a lot, including the way a user thinks and acts. For some, having the clarity to commit to treatment isn’t possible. Your loved one might need an intervention, which is essentially a meeting of the drug user and their closest friends and family about the impact of drug use and the need for immediate treatment. Interventions may stand a better chance of success when coordinated by a professional interventionist or other addiction specialist. Assessment/intake. Check in with the Dilaudid treatment program you’re considering to find out about the specifics of the intake process. Most intakes involve a thorough assessment of the patient’s history of use, medical issues, support system, family history, legal/criminal history, psychiatric history, and current life stressors. It will be important to be fully honest and forthcoming with information of this type, as it may impact the course of treatment prescribed to you. Detox/withdrawal from Dilaudid. Many, but not all treatment programs will utilize medication-assisted treatment as part of their comprehensive, evidence-based approaches to managing for opioid dependence. This type of detox most often takes in a medically supervised setting in a hospital or inpatient treatment setting. Check with the specific recovery program prior to treatment to ask if medication-assistance or fully abstinence-based recovery is utilized at that facility. Treatment methods. Best practices include an integrated approach that combines medical treatment, psychological education regarding addiction and steps toward recovery, individual counseling, family counseling, support groups, 12-step meetings, and social support for rebuilding confidence. Each person is different and addiction is complicated. Top-notch rehab facilities should provide a treatment approach that’s comprehensive and individualized. Many of the professionals working in treatment programs are not only addiction specialists but in recovery themselves. Worries about being judged or labeled don’t apply to drug rehab. You’ll be in good company on your road to recovery, and the best time to start is now. Please call 1-888-341-7785 today. 1. National Institute on Drug Abuse. The Science of Drug Abuse: The Basics. 2. Office of National Drug Control Policy. How illicit Drug Use Affects Business and the Economy. 3. County of Santa Clara. (2012). Best Practice Standards in the Treatment of Substance Abuse Disorders. 4. Substance Abuse and Mental Health Services Administration. (2016). Treatments for Substance Abuse. What are the slang, street names or nicknames for Dilaudid? You’re probably addicted to Dilaudid if you have an intense craving for the drug and will do anything and everything in your power to get it, even if doing so causes harm to your professional, personal and financial life. What are the long-term effects of Dilaudid abuse? The long-term effects include muscle twitches, physical dependence and kidney failure.